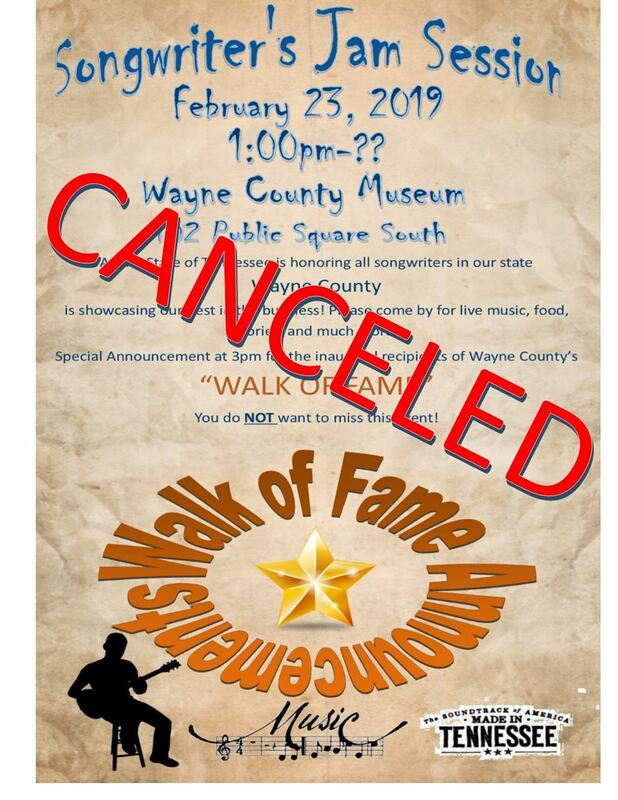 The first ever announcement of Wayne County's "WALK OF FAME" There will be 4 names of individuals that will be sealed in an envelope to be opened and will be, again the first, to receive their STARS embedded in concrete in front of the Museum. The state of Tennessee designated February 17-23 as "Tennessee Songwriters Week". We know, in Wayne County we are rich in music, among other things! So be there, support our citizens that have been recognized and have a wonderful time! Copyright 2015 Wayne County Chamber of Commerce - 100 Court Circle Room 301.